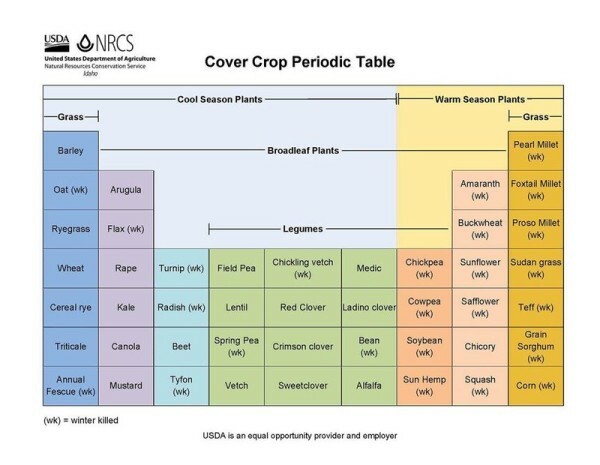 Cover Crops are generally categorized as warm or cold season plants and further categorized as legume, grass or broadleaf. Legume crops are Nitrogen fixers, they are able to capture atmospheric nitrogen and “Fix” it in nodules on their roots when the proper bacteria are present in the soil. Grasses include forage grasses and small grains such as traditional cash crops winter wheat, oats or sorghum. 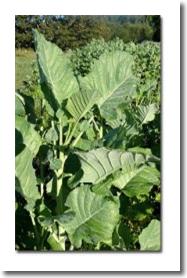 Broadleaf cover crops include a broad range of plants including Sunflowers, Flax, Buckwheat and Brassicas, which include plants in the mustard family such as turnip and radish. A quick growing, excellent source of Nitrogen which provides very good erosion control and breaks down quickly. Winter peas are also very good at loosening topsoil and reducing weeds and disease. Added bacterial inoculant will maximize nitrogen fixation. 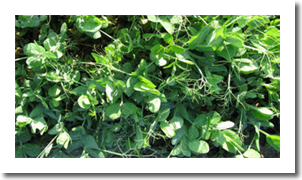 Field peas produce abundant vining forage and contribute to short-term soil conditioning. 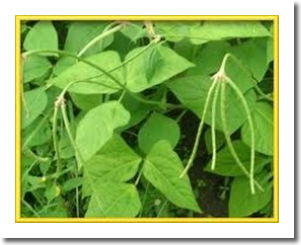 Cowpeas are the most productive heat adapted legume used agronomically in the U.S. Cowpeas protect soil from erosion, smother weeds and produce 100 to 150 lb. N/A. Dense residue helps to improve soil texture. Cowpeas nodulate profusely, producing an average of about 130 lb.N/A, but with optimum conditions can achieve more than 300 lb. N/A. 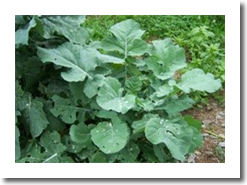 Cowpeas have “extra floral nectaries” that attract beneficial insects, including many types of wasps, honeybees, lady beetles, ants and soft-winged flower beetles. Plants have long, slender round pods often borne on bare petioles above the leaf canopy. (3). Sunn hemp is an erect, branching, annual legume. It is a rapid, vigorous grower, achieving a height of 4 to 6 feet in 60 days, when grown under favorable conditions. 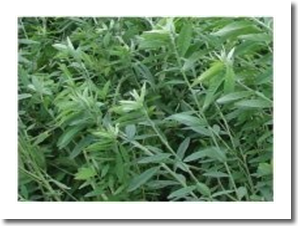 Sunn Hemp is recommended as a rapid-growing leguminous green manure crop to be included in rotation with vegetable, ornamental, and other plants to add nitrogen and organic matter, to suppress weeds, to control erosion, and to reduce root-knot nematodes. Sunn Hemp can produce over 145 pounds of actual nitrogen per acre at 60 days of growth. It can produce organic matter yields of as much as three tons per acre. The main use for this crop is to increase organic matter and supply nitrogen to next spring’s crops. 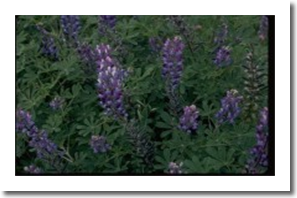 Blue Lupin is adapted to acid soils, however soil pH up to 8 or slightly above will not inhibit its growth or health. Lupin is fairly efficient at extracting phosphorous from the soil. It produces very tiny roots and they produce citric acid that buffers the immediate environment on the roots and they actually raise the pH and make phosphorus available. They also have a deep taproot that mines for subsoil Potash. Bad fertility does not hurt this crop. Balansa Clover is a small-seeded annual legume with superior reseeding potential compared with other legumes. Well-adapted to a wide range of soil types, balansa performs particularly well on silty clay soil with a pH of about 6.5. Established stands tolerate waterlogging, moderate salinity, and soil pH from 4.5 to 8.0. Balansa clover is open pollinated. Flowers vary from white to pink and are attractive to bees. Ungrazed, it grows up to three feet high and produces thick hollow stems that are palatable and of good feed value. It becomes more prostrate when grazed. Balansa clover seed is quite small, so planting only 5 lb. /A gives a dense stand. 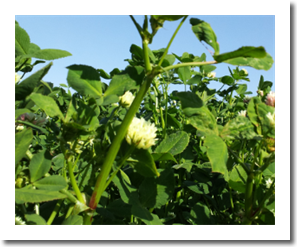 A fast-growing summer annual, berseem clover can produce up to 8 tons of forage under irrigation. It’s a heavy N producer and the least winter hardy of all true annual clovers. This makes it an ideal winterkilled cover before corn or other nitrogen-demanding crops in Corn Belt rotations. Berseem clover draws down soil N early in its cycle. Once soil reserves are used up, it can fix 100 to 200 lb. N/A or more and is a high value plant for native and honey bees. It establishes well with an oat nurse crop, making it an excellent cover for small grain, corn, soybean rotations in the Midwest. 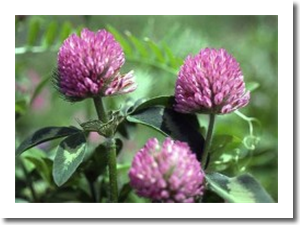 White clover is one of the most important perennial pasture legumes. It is highly palatable and nutritious forage for all classes of livestock and most wildlife and is a high value plant for native and honey bees. 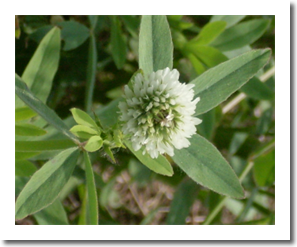 White clover is commonly planted with orchardgrass, ryegrass, bromegrass, or tall fescue. 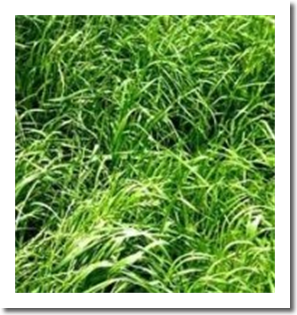 Large or Intermediate white clover planted with orchardgrass produces the premier forage combination for intensive grazing systems in the Northeast and grows tall enough to be harvested for hay, silage, and green chop. Common white clover (Dutch White) seldom grows tall enough to be harvested for hay or silage, but is an excellent companion for lawns, paths or other high traffic grass ways. Broadly speaking, sweet clover is an annual to biennial forb reaching 5 feet (1.5 m) in height. Prior to World War II, sweet clover was an important green manure crop. 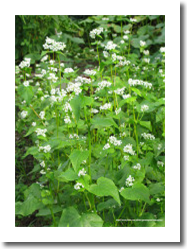 Its ability to grow rapidly and fix nitrogen made it an ideal green manure. Interest in sweet clover for green manure dwindled rapidly after World War II when commercial fertilizers became readily available. When used for green manure, plowing under sweet clover residue increases soil nitrogen content when compared to just harvesting top growth for forage. Rapid growth and easy establishment make sweet clover a popular choice for reclamation seedings. Additionally it works well in seed mixtures for road cuts, post-fire, mine spoils and other disturbed sites. The large taproot increases aeration and water absorption by opening the subsoil. 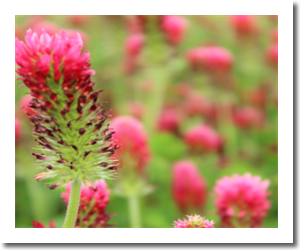 Sweet clover flowers are highly attractive to bees, butterflies and beneficial insects. Woollypod vetch is an introduced, self-seeding, cool season annual legume similar in appearance to other annual and perennial vetches. Woollypod vetch may be used as a substitute for purple vetch in cover crop and green manure seedings. Because it matures relatively early and reseeds well, Woollypod vetch can be used where a perpetuating annual cover is desired. Cahaba Vetch was bred to be an excellent forage in the east and southern parts of the US during the winter. In the transition zone it has shown good winter hardiness. Cahaba vetch is a summer legume used to follow with wheat or bypass planting. Both Woolypod and Cahaba vetch are cold tolerant, but not winter hardy. They will die when temperatures fall below 30F. 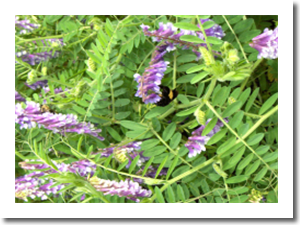 Chickling Vetch is an annual legume developed as a fertilizer alternative to supply green manure Nitrogen for both organic and conventional growers. In only 8-10 weeks of growth an average of 80-100 lbs N/acre can be produced. This plant is drought tolerant, moisture efficient, resistant to many insects and diseases, and suitable for a variety of climates and soil types. It has been found to markedly enhance all major components of soil biological quality and boost soil fertility. 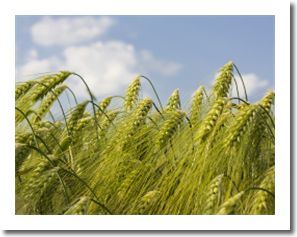 Triticale is a cereal crop developed by human intervention from crosses between wheat and rye. 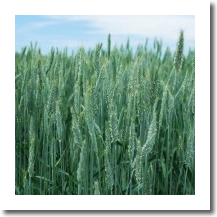 It has been developed to incorporate the high yield potential and quality of wheat and the adaptability of rye and is adapted to a wide range of soil types and environments. Triticale has an aggressive root system that binds light soils better than wheat, barley or oats. Under ideal conditions, researchers have found that triticale can out-yield wheat and barley and sometimes oats. 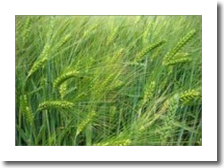 Triticale is well established as an ingredient in livestock rations. The BMR Grazing corn is an open pollenated corn with expressed Brown Mid Rib (BMR) trait. This is not a GMO trait. 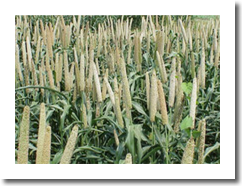 This corn variety has been developed to have superior palatability and digestibility compared to conventional corn, and is especially a good fit for warm season grazing mixtures or green chop. 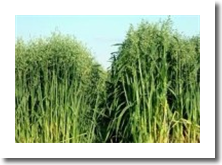 Due to its relative short maturity (90 days) it is a good fit for double crop forage after cereal rye or triticale silage harvest. Companion planting with soybean, cow pea, or Sunn Hemp will improve feed value grazed or mechanically harvested. Used primarily for grazing, cover crop, and food plots. Planted at 2 pounds to the acre as a sole component, 1 pound in a mix. Planted in the spring or summer in all regimes. An upright brassica, it can reach heights of 24 inches. Vertical branches do not wilt and are resistant to decay. 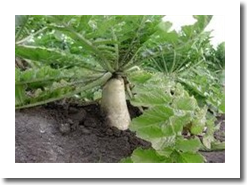 It has a taproot like rapeseed and other hybrid turnip that is useful for improving soil structure and water permeation. Flax is a broadleaf with very small, narrow leaves that are less than an inch long. Stems are branched near the base of the plant, with plants reaching 30 to 36 inches in height. 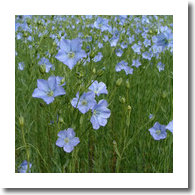 The multiple stems or branches of a flax plant are slender and flexible, bearing attractive blue flowers. Flax has the same performance benefits of other grasses and grains, of quick germination and a highly fibrous root mass. Flax will take up excess N and other minerals, will winter kill and provide moderate to high amounts of organic matter back to the soil. (4)Flax provides excellent mulch for protection of erosion and improving water permeation during the winter and spring. Sunflowers grow rapidly, producing large, rough leaves. If planted in early June, sunflowers will be in full bloom after about two months in early August. Current sunflower varieties reach an average of six feet in height, varying between five and seven feet depending on planting date and soil conditions. 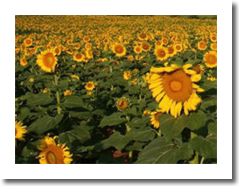 By adding sunflower to an existing crop rotation, pest problems such as corn borer or soybean cyst nematode can be reduced. Turnip is a cool-weather crop and well adapted for the northern parts of the United States. Turnips have a small, white-fleshed root, often with the surface of the top half purple. Turnips can provide grazing at any time during the summer and fall depending on the seeding date. 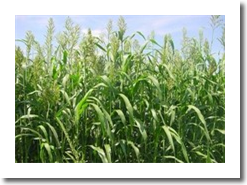 These crops maintain their forage quality, if not headed, well into the fall even after freezing temperatures and may be grazed in the Upper Midwest into November. Its flowers are attractive to native and honey bees as well as beneficial insects. (1) “Winter Cover Crops for Kentucky Gardens and Fields”, Rasnake, M., Dunwell, W., and Weston, L.
University of Kentucky College of Agriculture, Bulletin ID-113. (2) “Cover Crops for Home Gardens”, Rackham, R.L., and McNeilan, R.
(3) Managing Cover Crops Profitably 3rd Edition, Edited by Clark, A. 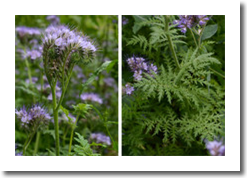 (5) “Phacelia tanacetifolia : A brief overview of a potentially useful insectary plant and cover crop”, L. Gilbert. Small Farm Success Project - Fact Sheet Number 2.12 p.